A terrible crime that only you can stop is sweeping the garden. Some call it pruning. We call it...Crepe Murder. Styles come and go. Some are timeless, while others beg to be forgotten. So it is with crepe myrtles and the current trend of lopping off their tops. Remember crew cuts? They're out. Natural forms are in. The satin-smooth bark and sinewy trunks of a graceful crepe myrtle make a statement in the winter garden. But amputated, knuckled, and disfigured branches mar the tree's outline, just when it should be an asset. Crepe myrtles need pruning. If done correctly, the pruning goes unnoticed. Think of it as training. 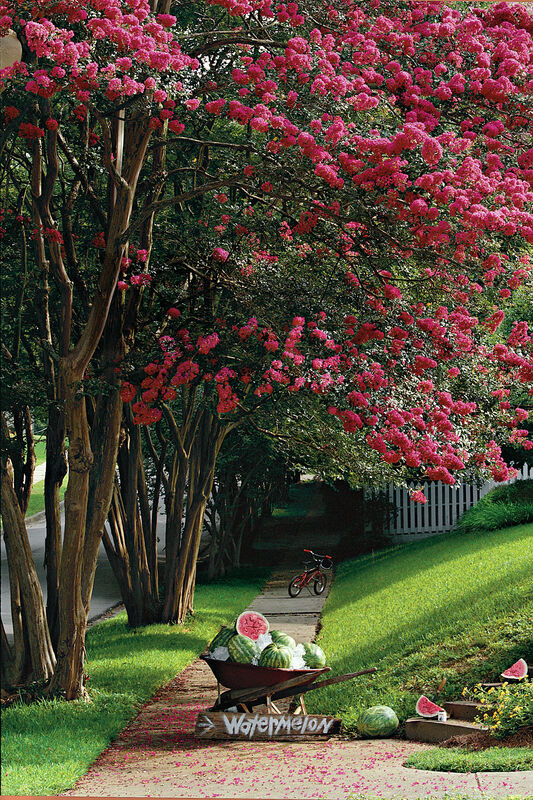 By enhancing the natural habit of the tree, you guide your crepe myrtle into a form that is both handsome and easy to maintain. A shallow cut under the limb prevents tearing the bark as the limb falls. Cut the limb off by sawing down from the top at a point several inches beyond the initial cut. The last cut removes any stub that remains, leaving a smooth-edged wound that will heal without a dressing. Improper pruning is a copycat crime. Each tree has a different form, and its role varies from one landscape to the next. Therefore, you need to figure out why you are pruning before you cut a branch. If your tree is too tall, then you have the wrong one. Pruning to reduce its height will only create a maintenance battle that you will never win. Fortunately, even large crepe myrtles can be transplanted with success. 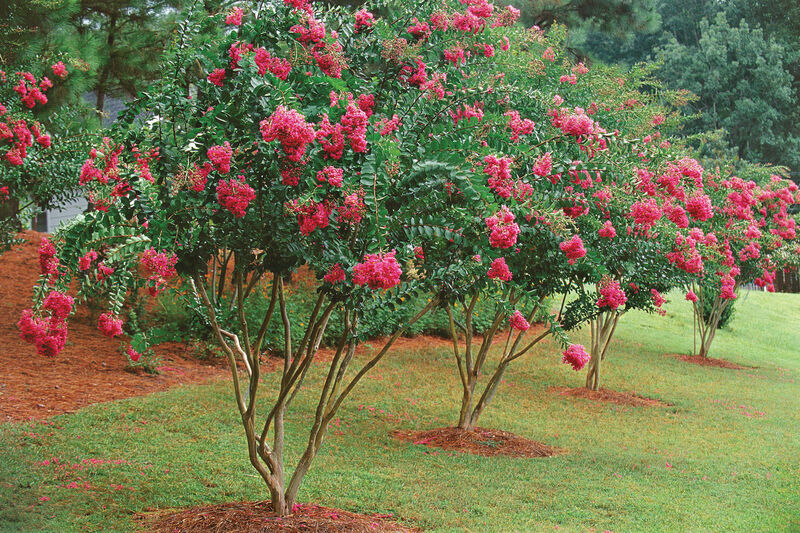 Replace yours with a different kind of plant or a shorter selection of crepe myrtle. Acoma, Catawba, Cherokee, Comanche, Hopi, and Sioux are a few of the semidwarf forms that reach 8 to 14 feet in height in about 10 years. 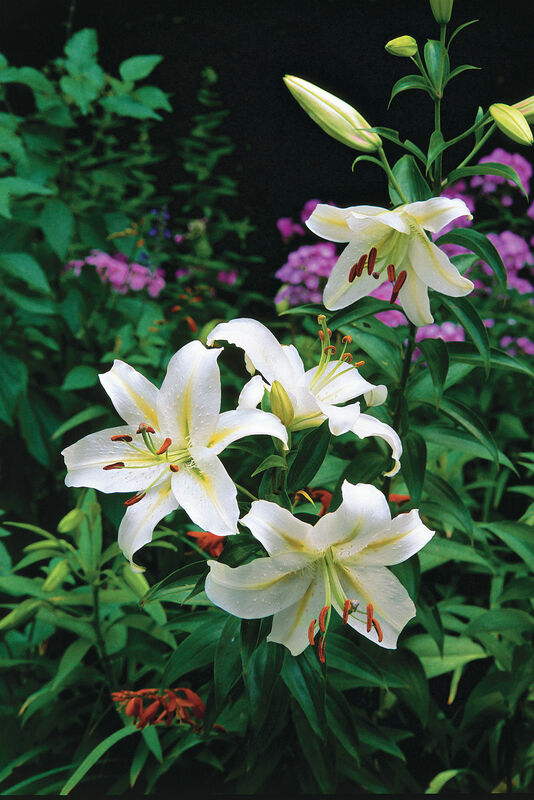 If you want a shrub, try Centennial, Victor, Prairie Lace, or Hope; these grow 3 to 4 feet tall. Natchez, Muskogee, Fantasy, Dallas Red, Byers Wonderful White, Watermelon Red, and Biloxi all grow at least 20 feet, so plant them where their height will be an asset. If I don't prune my tree, it won't bloom. Pruning will not inspire flowering; it will just bring the flowers down to where you can see them. Often, trees that fail to bloom are growing under too much shade, so move them to the sun. Crepe myrtles naturally send up new shoots called suckers from their base. While multitrunk trees are handsome, too many trunks can appear unkempt. 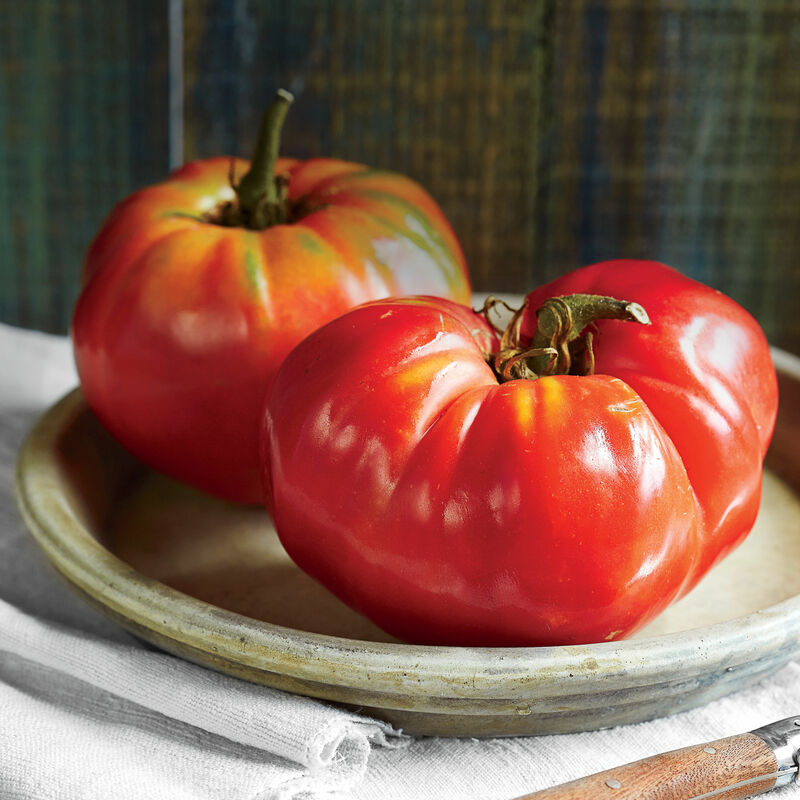 Use hand clippers to cut off all unwanted suckers at the surface of the soil. Now is a good time. I'm just shaping it up. Don't cut to see over them, cut to see through them. Remove limbs from the inside of the tree, especially limbs that cross or hang so low that they hit you in the face. Remove entire limbs flush with the trunk as shown in Order in the Cut box. If you leave a stub, four or five new shoots will grow in place of the one you removed. If your tree has been damaged by improper pruning, you can restore it. Cuts on young limbs (2 inches or less in diameter) can be repaired as shown in Reform School box. But larger limbs that have been lopped off or repeatedly pruned so that they have developed a knuckle need to be removed entirely. Trees that have been cut back to trunks 4 or 5 inches in diameter will never look natural again. These need to be cut flush to the ground so new trunks can be trained to replace the old. A stub left by an improper cut last year allowed two shoots to grow in place of the one that was removed. To restore the proper form, remove one of the two shoots. The result should be a cut that will heal into a single branch. Although this may seem drastic, you can have a new tree in only two or three years because the established root system will support rapid growth. When new shoots appear, select the ones that are strong and well placed. Remove all others. 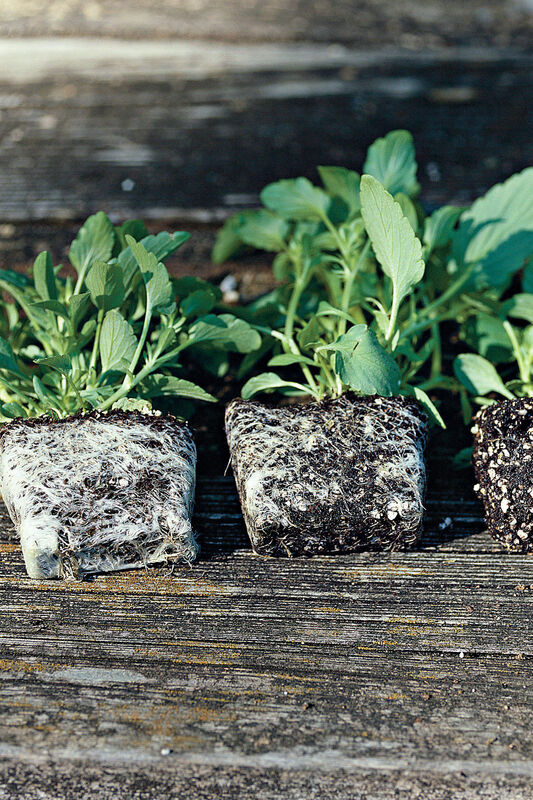 You may have to remove suckers several times during the growing season, and you may have to support the long, limber shoots with stakes during the first year. But be patient and train your tree into a natural form. It will be a beauty once again.